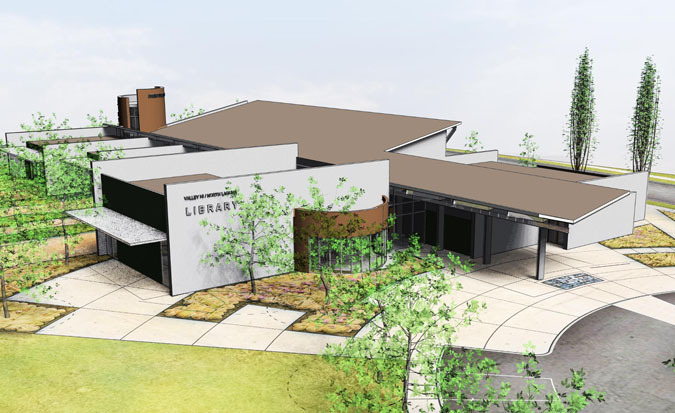 New library that include reading rooms, technology center, study rooms, offices, community meeting room and cafe. 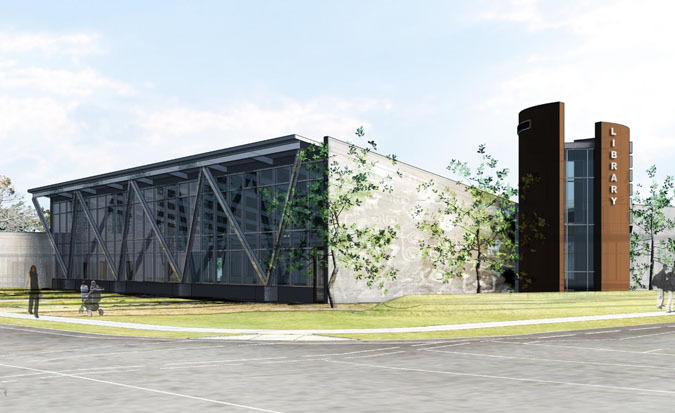 The architectural design provides cost savings and multi-functional use by its sloped roof that harvests daylight, allowing it to penetrate deeply into the buildings’ spaces. Skylights incorporated in the design provide additional diffuse overhead daylight to reading spaces. 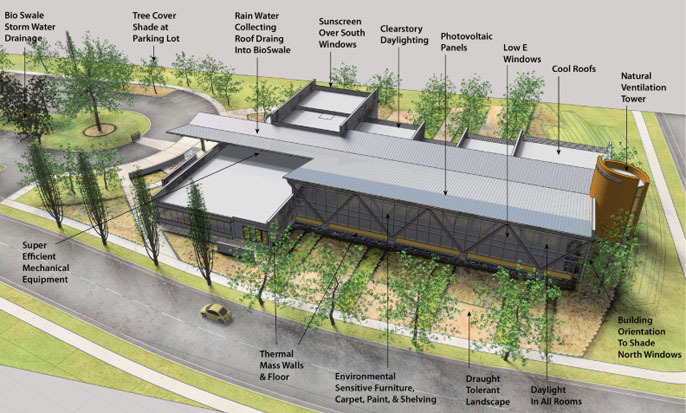 Additional sustainable features include passive cooling, efficient HVAC and lighting systems, displacement ventilation systems, rain water collection, and use of thermal mass.